An Upper West Side hostel for budget travellers looking for enjoyable in New York City. 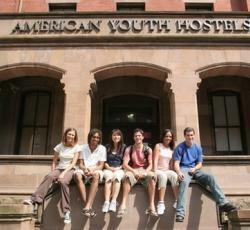 HI Hostel New York is friendly, sociable and near to both Central Park and Times Square. Great location ! Everything is pretty close. A lot safer than another spot I stayed on the east side. I felt safe walking around at night. For a female I think that&'s a pretty huge deal. The Deli right down the street are super friendly too. Mostly the cleanliness and excellent order of things. Employees was accomadating and nice, rooms and bath rooms were clean and secure. The place itself is properly kept outside and in, with plenty of areas to relax in a noiseless environment. The facility has great event choices too! No cost jazz, group activities. Full service cafe, kitchen. It was a great stay! Excellent location with the subway only a block away. Really nice staff, clean rooms, great food on hand to purchase, everything you could want from a hostel. Nice helpful employees and superb location, the subway is just one block away and the region is nice. Massive confortable rooms, awsome commun areas and a lot of activities are proposed to the guests. The location it self (close to the train lines), and also the fantastic atmosphere in between the travelers and also the helpfulness of the staff. I loved to be in Hostelling International NY. They are amazing. When you visit New York, book your hostel reservation at Hostelling International NY. It&s the most effective hostel in New York. The location, the common area, the central heating, cleanliness, kindness of the people in the cafeteria, the food in the cafeteria. There&'s space ib front of the shower curtain exactly where you can put your clothes. They have enough power outlets and lockers right near to the beds. Acceptable priced (I would considered it expensive in any other city), well situated (5-7&' walk from the nearest subway station), good facilities, clean enough and really helpful staf. Plus, they supply free coffee inside the morning. The selection of facilities offered and the cleanliness. It&'s a wonderful location to create new friends. * Hostelling International - New York rated 4.8 out of 5 based on 10 customer reviews. Hostel reviews with a star rating are sourced from HostelBookers. If you find Hostelling International - New York with the same booking conditions at a lower rate somewhere else on the internet after you have booked, we will refund you the total difference.